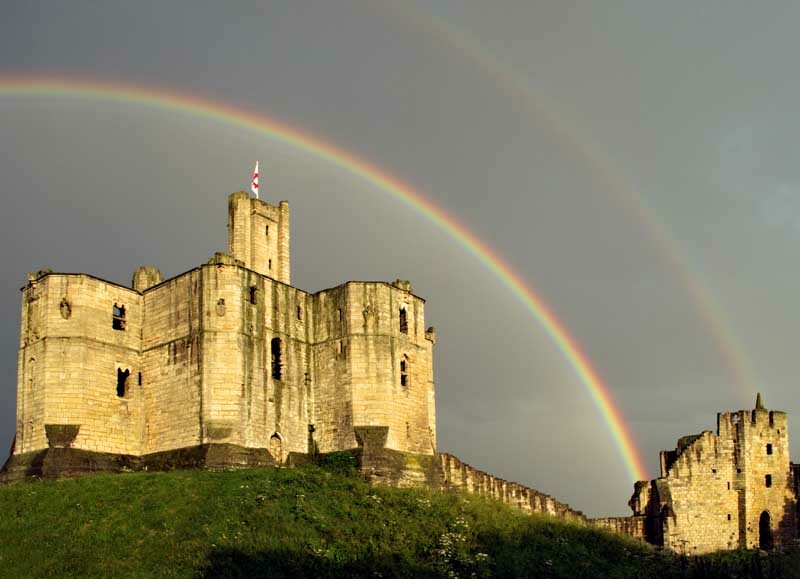 Got lucky in capturing this double rainbow arcing over Warkworth castle as the sun broke through a heavy, late summer evening shower. The setting sun turning the castle gold against the dark, departing storm clouds. Once in a lifetime image.